I read somewhere that, in the testing phase of making a website, you need different kinds of hardware to test them on. For example, testing on android vs. iPhone and so on. 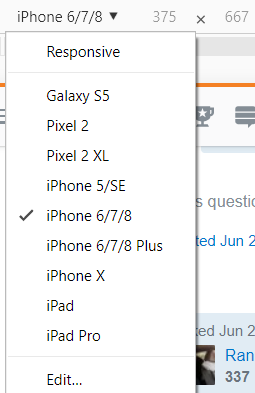 Is there an alternative to this kind of testing where I would have to go out and find a bunch of different phones and laptops to buy and test with? Someone suggested a website that lets you connect to a mac remotely or something in another topic I made. I just want to know what a good method is. I’ve been coding away and just now realized that this might be a problem.